So far Darren King has created 47 blog entries. 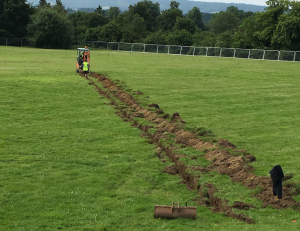 The former sports field was only fully usable in the summer months due to a tendency to becoming waterlogged during the wetter months, resulting in a large portion of the field becoming unusable. 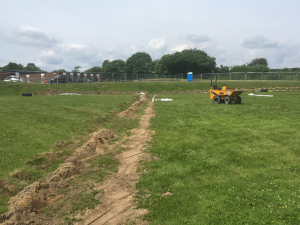 thus, the first practical works required was to insert land drains to ensure ground water flowed away from the north east section of the field into an area where the pond will be placed. this work was contracted to PB Groundworks, a local contractor, who completed the work in under 5 working days. First the site had to be fully fenced off to ensure public safety. Fencing sourced and erected by Playsafe Playgrounds, one of the 3 main contractors for Easebourne Park. 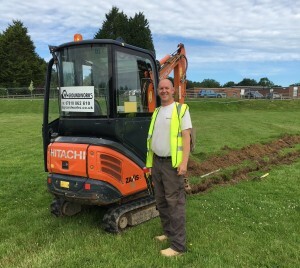 Phil of PB Groundworks – one of the 3 main contractors, who will return to complete the perimeter paths in August once the play equipment installed. 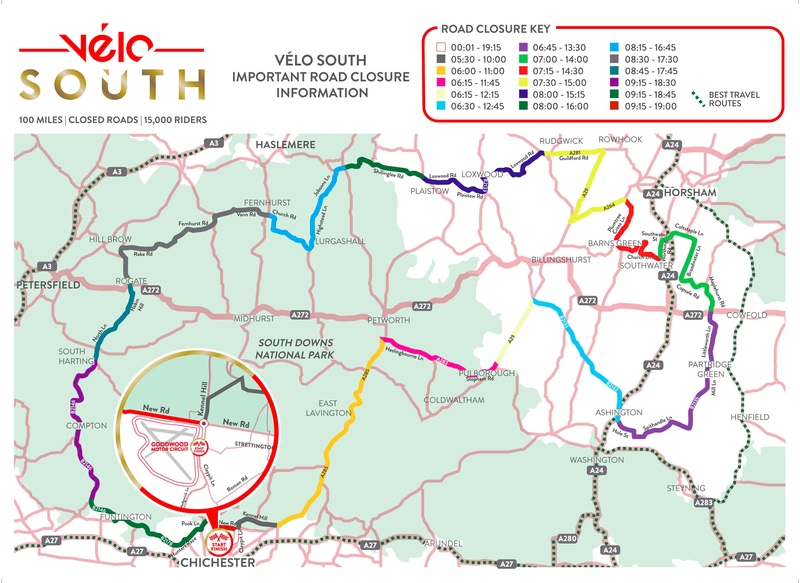 On Sunday September 23, 2018, 15,000 cyclists will start a major new 100 mile closed road amateur cycle event from Goodwood Motor Circuit and will take a route that effectively circumscribes Easebourne Parish and routes out of the parish will be closed for large amounts of time during the day. Please see the poster below. 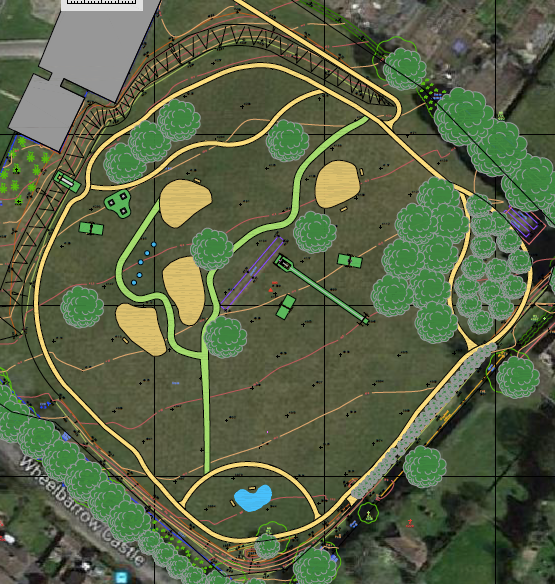 Easebourne Parish Council received from Chichester District Council planning consent for the Wheelbarrow Castle Community Space and Play Park project at the end on April; accordingly we are now proceeding with this exciting project. 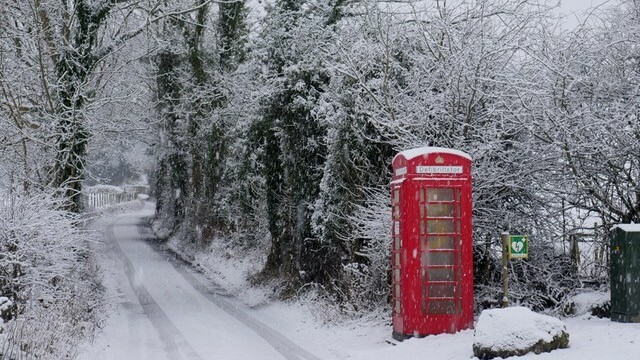 The Parish Council has recently held the last 2 of a series of public consultations where the overwhelming response has been enthusiastic and supportive. 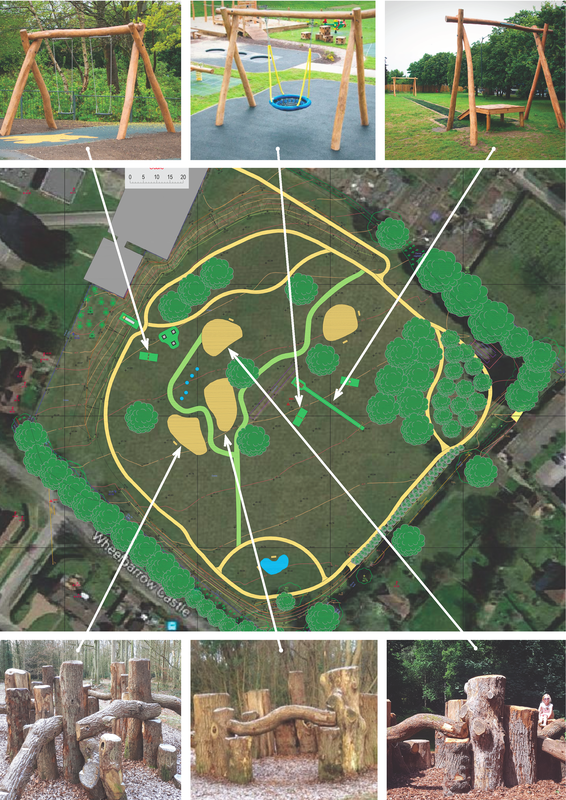 Indeed, the consultations threw up several innovative ideas for additions to the present plans for the community space which the parish council are discussing and which may well form part of a phase 2 plan, to be enacted next year, subject to fundraising being successful. Thank you to all who have participated in the public consultations over the past 2 years. 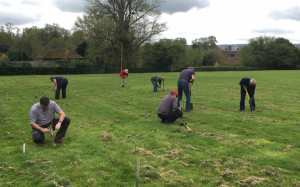 The Woodlands Trust generously granted the Parish over 200 native English trees which required to be planted to form the copse of trees at the ease of Easebourne Park. In Sep or October, there will be hundreds of bluebell bulbs planted (English bluebells) in and amongst the trees. But first the hard work of digging in the trees had to take place. A group of volunteers formed and the work commenced. 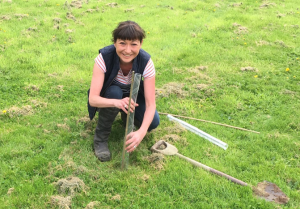 One of the many volunteers, to include enthusiastic support from South Downs National Parks Authority. The Parish Council are organising the annual Spring litter pick for Saturday 14th April 2018, meeting in the Primary School car park on Wheelbarrow Castle at 9.30am. 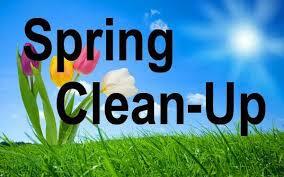 All equipment will be provided, including gloves, bags, hi-vis vests and litter grabbers. Please spread the word and come along to spend an hour making our village a cleaner place. All ages are welcome. If you can definitely make it please let our Parish Clerk know so we can make sure we have enough equipment. Thank you and see you on the 14th! Easebourne Parish Council have just had installed (Monday 26th February 2018) 2 vehicle activated 30 mph signs (VAS). Located on the A269, on Dodsley Lane, at Budgenor Lodge activated by speeding traffic going south into Easebourne and the other, also on Dodsley Lane activated by any speeding vehicles leaving Easebourne heading towards Haslemere. Our Village Welcome Pack project has been shortlisted for the Hooli Boost award. This will enable Easebourne Parish Council to develop a fantastic branded welcome pack that will go out to all households! It will be a source of really useful local information, and will also allow us to develop our own Village branded Identity. This will be used throughout the village, and in all our future communications. 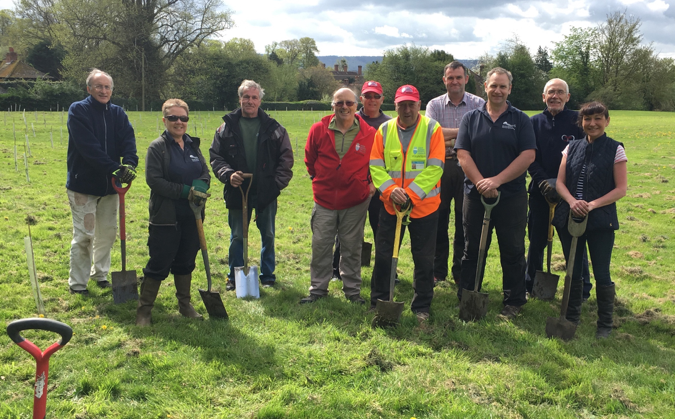 It will prove especially useful as we begin to implement our hugely exciting Village field project. So please – follow the link and VOTE! Great news! The electrical work has now been completed by SSE and our 2 Vehicle Activated Signs will be installed on Monday 26th February. One will be located close to Budgenor Lodge facing north and the other will be close to Egmont Road facing south. This is another project that the Parish Council Highways Team have been working on for over 2 years, gathering the required data to support the installation and gain the necessary approvals from the District Council and Highways authority. 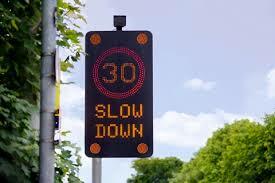 The signs will both trigger when a motorist is exceeding the speed limit reminding them that they are in a 30mph zone and to SLOW DOWN. We hope you will agree that this is a significant step towards calming traffic through our village.